Plan And Pack For A Romantic City Break - Openstories Travel Blog! 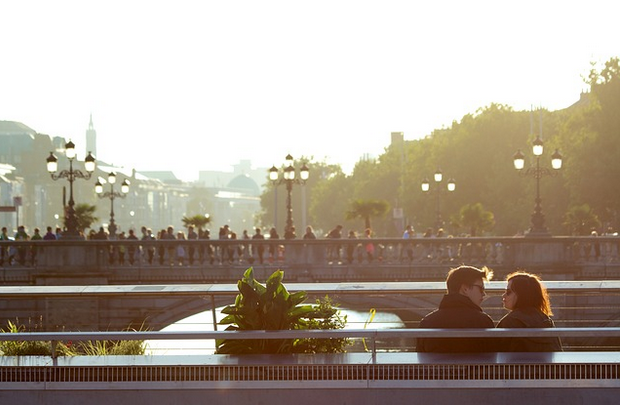 No matter where you decide to go, taking a romantic city vacation is always a good idea. Sometimes we all need a little bit of time-out together don’t we? Whether it’s a short weekend trip or a full-blown holiday, I’ve managed to find some handy tips to inspire you. City breaks can be planned on tight funds, or you can go all out and offer your loved one the ultimate in luxury. Both have their advantages and disadvantages so work to what you can afford and stick to your personal budget. Planning – Things generally work more efficiently when you have a plan. Think about where you want to stay first. Research holiday apartments in New York and you will often find that this option works well for a romantic break. New York is a city where you can do anything. You’ll be spoiled for choice and each day can be like a new adventure for you and your loved one. If you wanted to stay somewhere in Europe, then Paris is always going to be the obvious choice. Long romantic walks along cobbled streets are waiting just around every corner. The best way to travel – When you travel with your loved one, you want it to be as stress-free as possible. If you are planning a romantic break, then you certainly want to get things off to a good start! This will set the tone for the rest of the holiday, after all. Depending on where you decide to go and what your location is you have various options. Go by car, and you’ll get the chance to chat and point out scenery along the way. If timing is an issue, then the quickest way to get to most cities is to fly direct. Grab a drink in the airport lounge before you go, and this can serve as a pre-date. What to pack? – Packing for a city break is simple. Take along the essentials and don’t worry too much if you forget something. You will have plenty of stores nearby to stock up on anything you require. If you are planning a romantic break then you should think about packing some fashionable clothing. A good evening outfit is always a safe bet. You might also want to leave your comfy, scruffy pj’s behind and bring some nice lingerie or sleepwear with you. Gents will want to consider bringing their grooming products with them. Cheap disposable razors can cause irritation, so take a look at the razors that Get Razor Advice suggest you should be packing on your romantic getaway. The food of love – You will have so much choice for food in every city. Do your research before you leave. Ask on Twitter and other social media platforms for recommendations. There is nothing better than getting excellent ideas from people who live locally. They will know all of the hidden gems when it comes to restaurants and bars. If you don’t want to dine in luxury every day, then you will still find a good selection of food available. In Paris, the streets and parks all have crepe and baguette stands where you can pick up something on the go. Multi-task by eating while you explore!